It was not a vintage season for armour in the salerooms, but in Thomas Del Mar’s (24% buyer’s premium) auction on December 5 this very original English or Flemish close helmet of c.1560 reached £11,000. 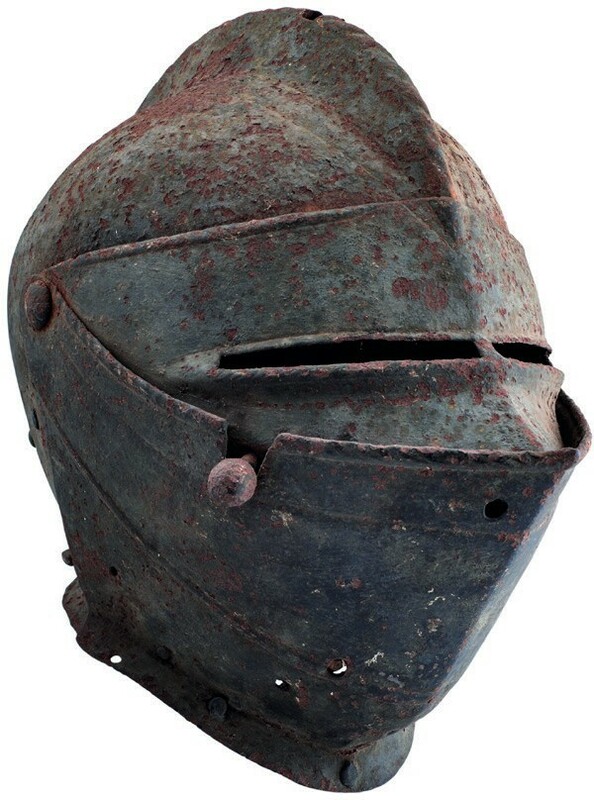 This very original English or Flemish close helmet of c.1560 sold for £11,000 at Thomas Del Mar’s auction. Like many helmets from old English collections, this example owes its survival to being suspended over a tomb as part of a heraldic achievement, and still has a coat of now flaky funerary grey paint. It was once in the collection of Sir William Farington of Worden Hall in Lancashire and it seems likely that it was removed from the Farington Chapel in Leyland Church in 1816.